We worked closely with the North East Bassetlaw Forum, NEBF, who are a group of nine Parish Councils and community organisations in rural Bassetlaw. 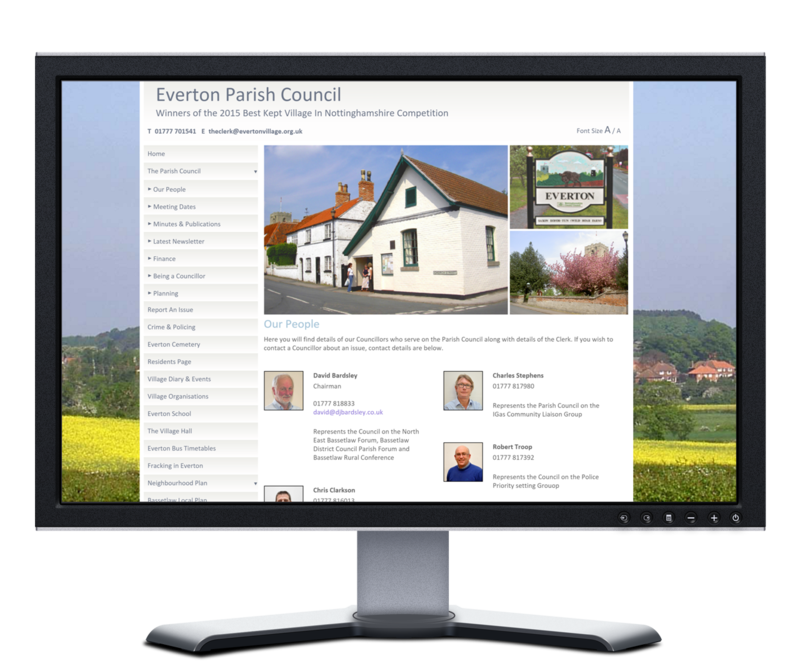 This helped us to realise what a parish needs in a website. The end result was a powerful tool that allows the user to easily customise the appearance of the site and set up new pages with a live preview. As well as many exciting features including page delegation, creating 'members' area and sending bulk emails to members. There was no definitive layout to the site, the pages could be configured any way the site administrator chose. 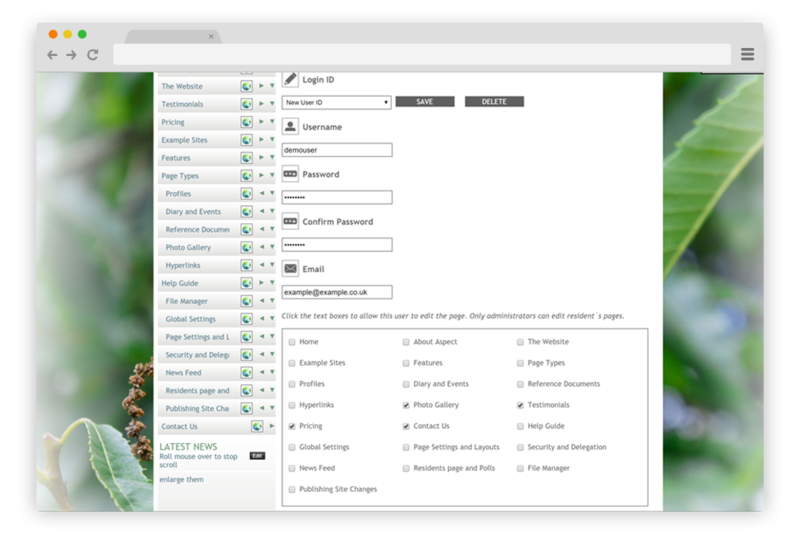 The template allows users to create pages that are password protected and can only be accessed by authorised users. 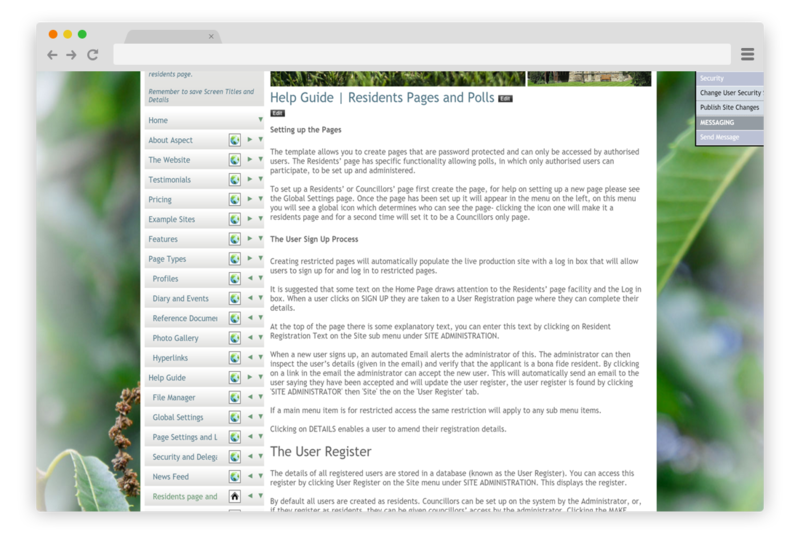 The Residents can register for the site using the sign up box on the homepage, when there is a resident's page. The resident's page has specific functionality allowing polls in which only authorised users can participate. The site administrator receives an email about the resident registration application, and can accept the application by simply clicking a link in the email. The resident is then notified that they are set up as a resident on the site. The security settings allow the administrator to set users and assign limited update rights for specific pages. This allows others to update the text on nominated pages. These can then be published by the administrator who can “moderate” entries to ensure nothing untoward is accidentally published. Notifications will be sent to the administrator by email when a delegated user has updated a page.